Say ‘I love you’ with this striking princess cut diamond trilogy engagement ring. 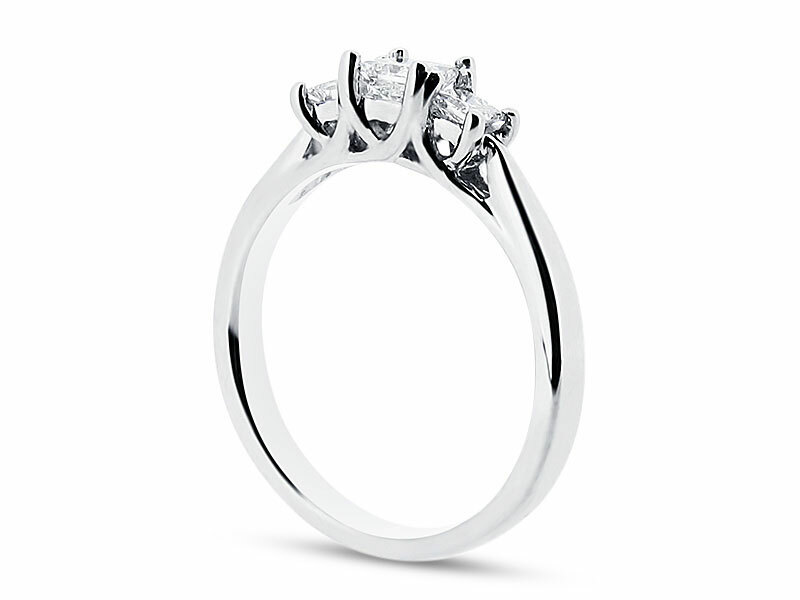 Comprising a central princess cut diamond flanked on either side by a smaller diamond, each set within a four claw setting. Completed by a flat profile polished band, this style ensures a wedding band will fit perfectly next to this stunning ring. 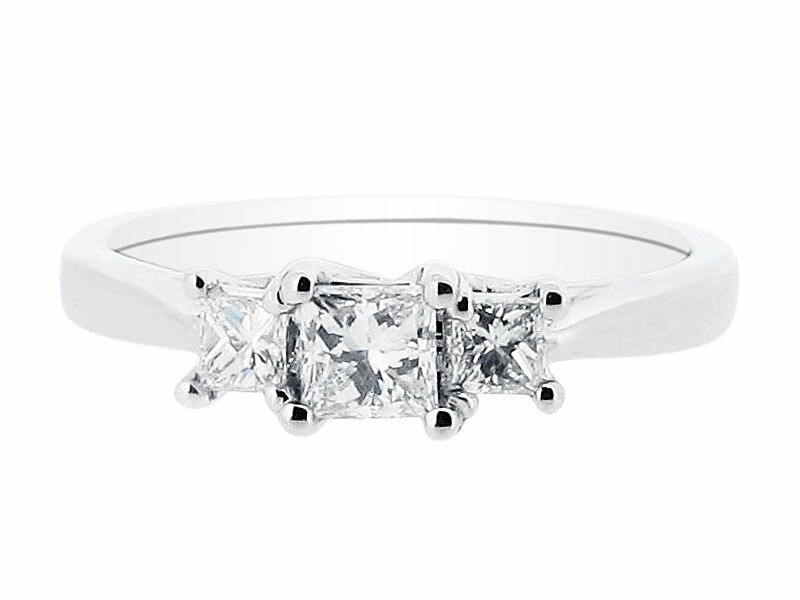 A timeless and elegant design classic, the trilogy ring is available in a range of diamond shapes and metals. Please contact us to arrange an appointment to visit our offices just off Grafton Street, where our consultants will be delighted to assist you in finding the perfect ring that fits your style and budget.